This property is for me a piece of Paradise. Here we enjoy each moment, the purity of the countryside air, the scent of the earth, the blue sky in winter (the air is very dry and clean), the walks (by foot or on horseback), in this beautiful landscape, inside and outside of Herdade da Chaminé. If you care to read our suggestions you may visit some of our 9 castles, our UNESCO-World Heritage cities, taste some of our best wines in Portugal (33 Cellars around our Herdade),our gastronomy as well, for example, by tasting some specialities of the Alentejo food at the restaurant " São Rosas, near the Estremoz castle. This program was worked out by carefully considering your lunches or dinners somewhere in the surroundings, so that you enjoy the best moments in a short time period. In winter, you will certainly choose to have your lunch outside, in order to appreciate the sunshine and in summer, you will prefer to have your dinner outside, at the swimming pool. 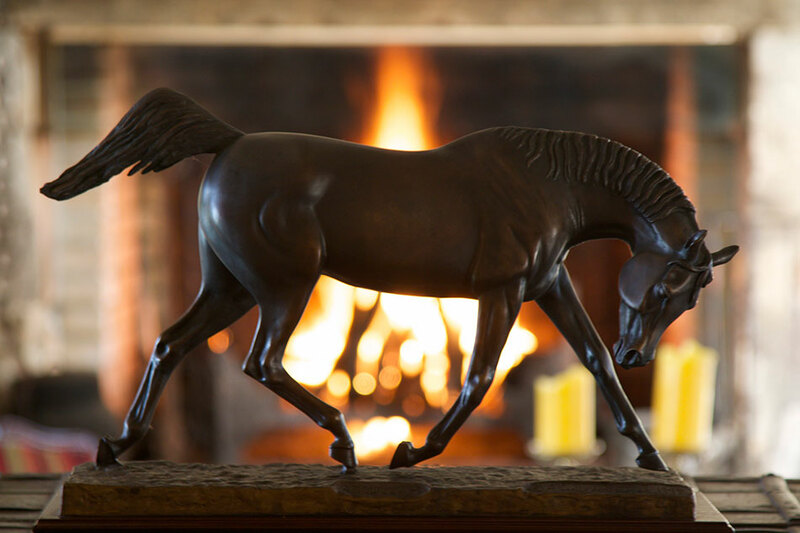 At Christmas and New Year's Eve, you may relax at our fireplaces in the living room and dining room. When we are in this cozy living room, drinking a tea, or watching a movie at night (cinema screen) and having all the small things like internet, cable TV, library, we feel "complete", even if we decide just to read a book. Because we have everything that is part of our daily life style, and so we are not worried to connect with the outside world. Life in the countryside is also an ideal way of recharging ourselves with good energy. Due to its interior design, I can define it as a stylish countryside house. The comfortable sofas and beds help you to restore your balance. In order to enjoy your stay, you can book a lunch at one of the" best five" cellars that I’ve chosen for you, some cooking lessons in the best restaurants of our region and have an unique experience, visiting also the local estates and making some programs described in our website. Don't miss the Market of Antiquities and Books, on Saturdays or the local events which are published every week. You will feel as a traveller and not as a tourist, experiencing our exclusive holidays suggestions.